Did We Fall in Love With the New Dream Date Slot From Microgaming? 32Red Casino has recently added a brand new romantic themed slot titled Dream Date to their casino, players can also look forward to a classic 3 reel slot from Triple Edge Studios called Diamond Empire which is due for release on the 18th of April 2018. The Dream Date slot is a romance-themed title from Microgaming which uses their popular 243-way payline format, first off, you’ll notice that there is a button option to change the slot from a Historic to Modern setting, this basically updates the visuals on the reel set but doesn’t actually change the paytables, so just select whichever era you prefer the look of. 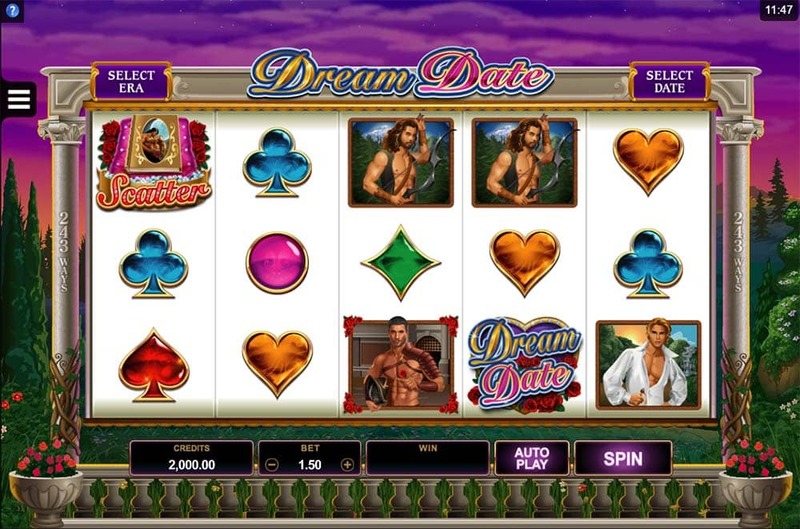 Next up you have to select a “Dream Date” character from a selection of 4 different dates, the chosen symbol plays a part in activating the free spins bonus round which can be done from the regular scatter trigger and also from the special Hot Zone feature when your chosen date lands in this zone. With 2 ways to trigger the bonus round the action comes thick and fast and during the bonus rounds, you can expect extra features such as expanding wild symbols on the centre reel along with 2x multipliers and a few other nice touches. You can check out all of the special features including the Hot Zone pays and bonus triggers in the gameplay video below. Hot Zones are a base game feature that is active on the centre of the 1st and 5th reels, when any Date Symbol and the Lady land on in these positions you are awarded a cash reward in the range of 2x up to 40x total bet. 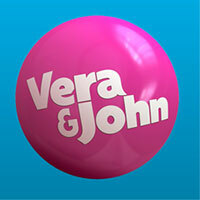 If your chosen Dream Date symbol lands in this position you ll also trigger the free spins. 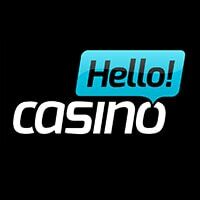 The free spins are triggered either by the regular scatter symbols or by landing your dream date in the Hot Zone feature awarding 8 free spins, trigger them with both methods are you are awarded 16 free spins. During the free spins, all of the Date symbols are changed into your chosen dream date symbol and if a Wild symbol lands in view on reel 3 it will expand to create a wild reel and awards a 2x multiplier. 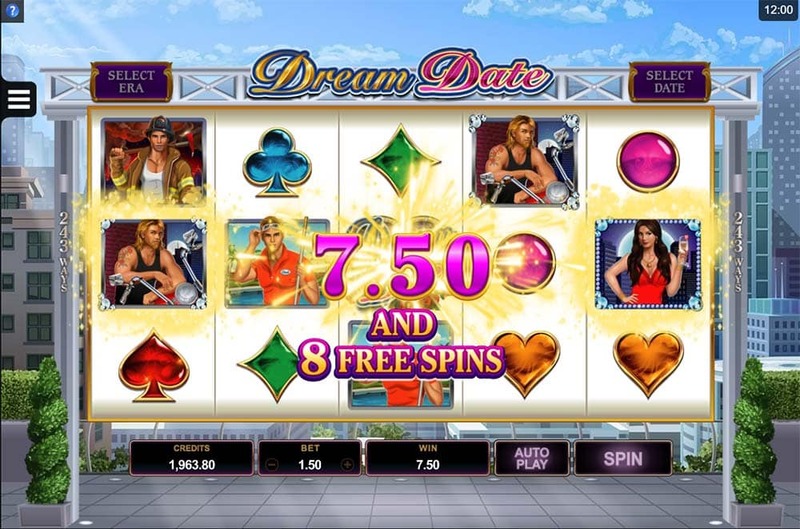 The Dream Date slot is a distinctly average release from Microgaming across the board, the graphics look dated, the special features are uninspired and the overall gameplay and features aren’t that exciting. 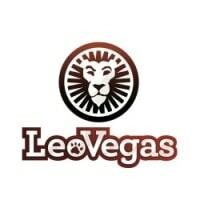 Whilst we didn’t find the slot particularly enjoyable to play, the good news is that with 2 ways to trigger the bonus round it does seem to trigger fairly regularly, the downside is that the results were generally quite poor with a few decent bonuses over 100 x stake in our playtests more mostly generally in the 10-30x bet range. The whole “Era setting” is novel but offers no gameplay differences along with selecting your Dream Date symbol, some volatility changes on both of these settings may have made it more interesting to play. Overall probably a slot that will pass most players by unless they are looking specifically for a romantically themed slot.